London is famous for many things: its must-visit attractions, its iconic gig venues, its world-leading museums and a vibrant theatre scene in the West End that is second only to New York’s Broadway. In addition to the late Princess’ memorial fountain in neighbouring Hyde Park, this playground was built next to her Kensington Palace home at a cost of £1.7 million as a fitting and lasting tribute to a Princess who cherished the innocence of childhood. At the centre of this Peter Pan-inspired playground, which opened in June 2000, is a huge wooden pirate ship that serves as a climbing area for children, surrounded by sand. Continuing the Peter Pan theme, there’s also a giant sea monster, a tepee camp, a tree house encampment with walkways slung between trees and ladders, as well as musical instruments that can be played with your feet. The playground encourages children aged 12 and under to explore and follow their imaginations, learning whilst they play. Refreshingly, there’s an area designed where less able and able-bodied children can play together with the aim of providing physical, creative, social and educational child development. 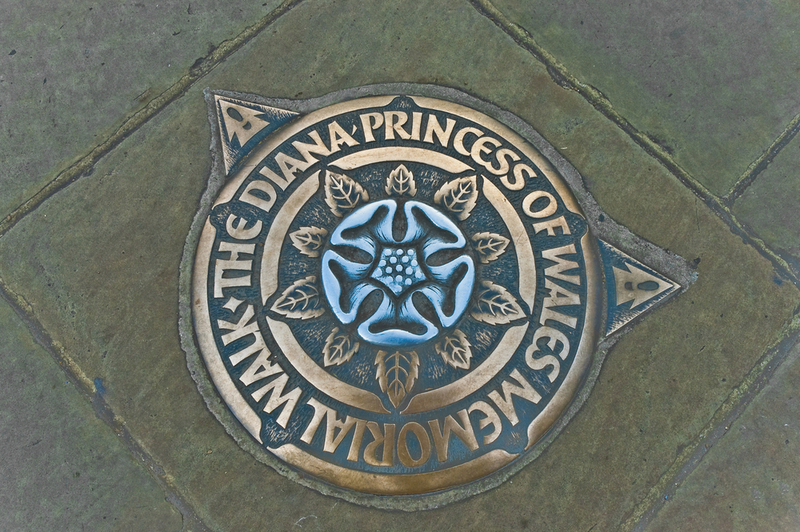 More than one million visitors enjoy this free playground each year, and with plenty of seating available for the grownups to relax, we think you will be glad you dropped by the Diana, Princess of Wales memorial playground too. The playground opens at 10am every day and closes around dusk throughout the year except Christmas Day. Avondale Park was originally opened in 1892 to remember the then-recently deceased Duke of Clarence and Avondale, and was last redeveloped in 2005. Today, the Notting Hill-based park features a solar-panelled spider-shaped ‘PlayAlive’ installation that powers different games within the playground, such as an interactive intelligent gym. The park is equipped with a Multi-Use-Games-Area (MUGA) with areas set aside for football, netball and tennis. This extensive playground also takes in the more traditional logs, mounds, wood tunnels, boulders and a huge sand pit. Children up to 14 years old are welcome and there’s a separate area for toddlers, while changing facilities, public toilets and a food kiosk are all nearby. There are already plenty of reasons to drop by Regent’s Park. It is home to London Zoo, a beautiful garden with 30,000 roses and the park hosts many vibrant food and music festivals in the summer. It also boasts several playgrounds for the kids. Arguably the finest is at Hanover Gate, built near a boating lake. It has a timber tree house sticking out from a humongous sand pit that will serve as a tasty climbing challenge for any adventurous kids. There’s also a more traditional park beside this one with slides, swings and other standard playground fixtures. Also placed beside a boating lake is Finsbury Park’s playground. Found pretty much in the centre of the 112-acre park, the playground includes slides, sandpits, tricky climbing frames, aerial walkways, ramps and ladders. For older kids with skating skills, there’s also a small skate park nearby. The location for Jubilee Gardens couldn’t be finer. Sat on a concrete promenade along the South Bank, it is close to some of London’s biggest attractions including the London Eye, London Dungeon and, naturally, the Southbank Centre. But within the gardens themselves, there’s a fantastic playground for the under-11s, comprising large timbers and rope nets. Sometimes, there’s even a carousel and small fun fair beneath the London Eye to really put a cherry on top of the cake. Self-described as ‘a haven for play’, Coram’s Fields covers seven acres, containing a youth centre, children’s centre, community nursery, a farm and a cafe. There’s also a top-rate playground open to children under 14 years old that includes a giant sandpit, climbing frames, see-saws, nest-style swings, slides, polygonal climbing frames and swinging bridges. Older kids will be drawn to the zip wire, tunnel slide and the vast array of climbing contraptions. That farm we mentioned earlier is worth investigating too, with goats, chickens, rabbits and birds all usually on site. This one may require a little more effort to reach, but Battersea Park’s playground is worth the extra hassle. With two playgrounds – one for toddlers and one for older kids up to 16 years – Battersea manages to cater for a broad range of age groups. The toddlers’ area includes a fun train, a pirate ship and swings amongst other things, while the older area consists of climbing frames, nets and trapeze bars. There’s also a Go Ape beside the playground. This tree-based climbing obstacle course is a lot of fun but commands a entry fee. Elsewhere in Battersea Park, you’ll find a children’s zoo with smaller animals such as otters, capuchins and chinchillas, as well as a complex boating lake containing three islands. Share the post "7 of the best playgrounds in London"